Evolution of バービー 映画. I think Barbie's appearance/character デザイン is getting severe. Barbie's features are become もっと見る and もっと見る cartoonish. Oh wait she's also transforming into an アニメ (like in Video game hero). 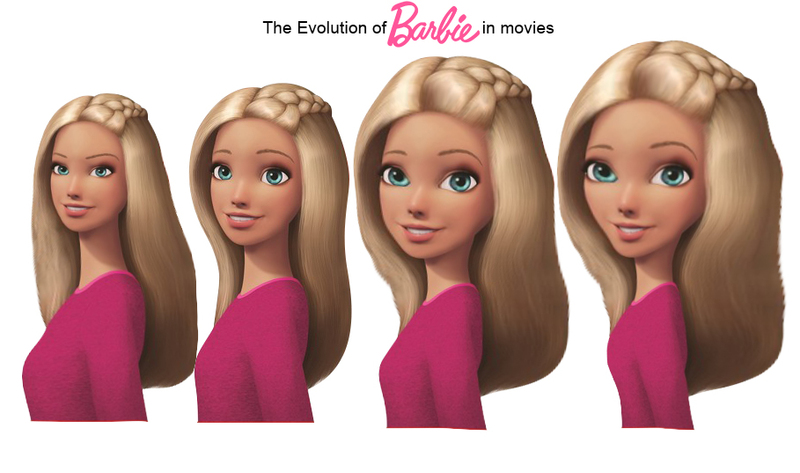 it's really painful to see the changes in the design.. HD Wallpaper and background images in the バービーシリーズ（映画） club tagged: photo barbie evolution movie barbiemovies. This バービーシリーズ（映画） fan art might contain 肖像画, ヘッドショット, クローズアップ, ポートレート, ヘッド ショット, and クローズ アップ.